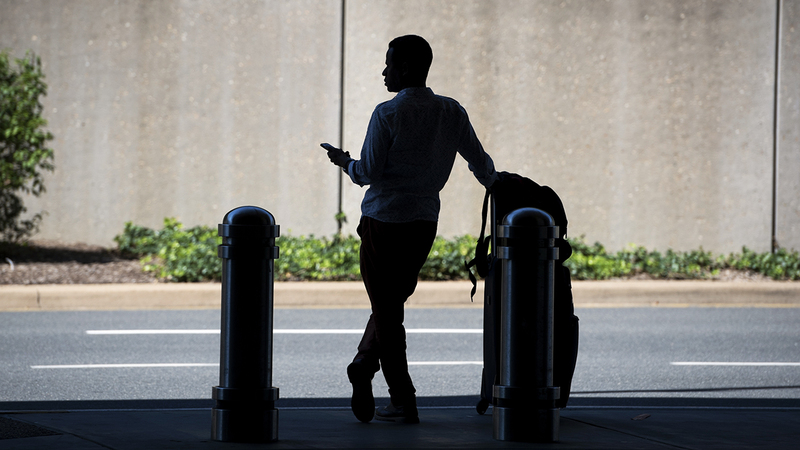 Even as the share of Americans who use ride-hailing has grown substantially in recent years, the new survey finds that few adults overall are making these services a part of their regular routine. Only one-in-ten users of ride-hailing services say they use these apps at least weekly, including just 2% who say they use them every day or almost every day. Another 22% are monthly users, while a majority of users (67%) utilize these services less than once a month. 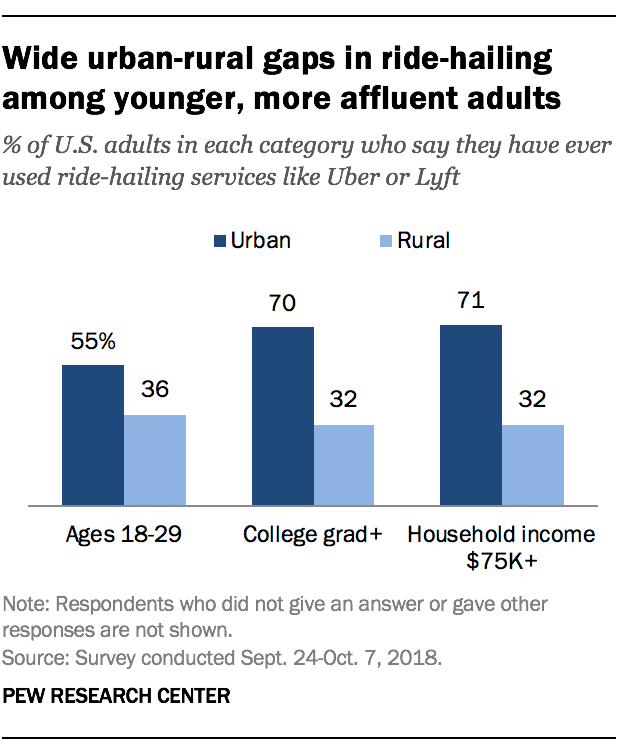 Put differently, a mere 4% of the U.S. adult population today uses ride-hailing apps on a weekly basis – a share that is largely unchanged from 2015, when 3% of Americans reported being weekly riders. While only a small share of ride-hailers report using these apps weekly, some groups are more frequent users than others. Urban users (19%) are more likely to use these services weekly than suburban (6%) or rural users (5%). And users ages 18 to 49 are somewhat more likely than those 50 and older to report weekly usage (12% vs. 7%). Jingjing Jiang is research analyst focusing on internet and technology at Pew Research Center.